Do you want an official tour…and official tour bus, or vehicle? Well we have a fun plan for you! We had a reader write in about a big family reunion they are planning. They plan to tour Arizona, Utah, Colorado, and parts of New Mexico in a large RV, well a few large RV’s. Their families have been planning this for some time, and they are going all out! We thought not only is their idea brilliant, but it must be shared! With a total of 5 large RV’s and 42 family members traveling this affair is seriously a big one. Beyond the fat they have a whole caravan, they are vinyl wrapping one of them with their family tree! This Wrapped RV will be the leader of the pack during their 2 week adventure. The idea came from a family member Bronc, who wraps vehicles for a living, www.vehiclewraps1.com. He decided to design the family tree, have it printed on vinyl and then install it on the RV. This is a real summer tour…family style! The image is not their actual truck, but we wanted to give you an idea, and that is some of Bronc’s work. Now that they are traveling in style here is they plan to visit some of the worldy wonders that people travel from all over the world to see. 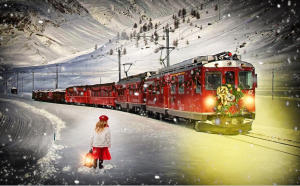 Colorado – Durango- they are going for a family hike on the Colorado Trail (which runs 468 miles from Durango to Denver, and then of course some River Rafting down the Animas. Although they are visiting four states, they are spending the most time in Arizona, Utah, and Colorado. 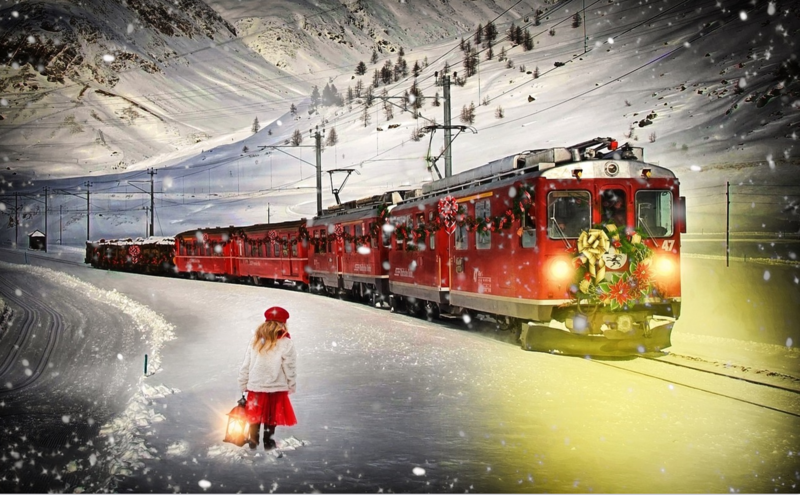 Taking forty two family members on a two week driving trip sounds insane…in of course an amazing way! What better time spent with each other hiking, rafting, exploring and eating great food? The best part is that they are making it known to all the others they pass by. Imagine seeing 5 large RV’s, one dressed up in a family tree, pass you by on the highway, or park in your campsite! I think they probably need a whole park site to themselves. No doubt this traveling reunion will make lifetime memories. What are some adventurous things that you are doing this summer? We’d love to hear what you have planned, so share away! 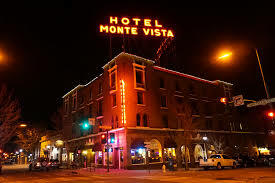 The Hotel Monte Vista, located in the heart of Flagstaff, is more than just an old hotel. Not only are there many stories to be told about the ghosts that haunt it, it is also part of the National Register of Historic Places. Found on Route 66, it was opened on New Year’s day in 1927 and since then has many stories and fascinating facts behind it. Once known for its hosting of famous persons such as, John Wayne, Bing Crosby, and Harry Truman, it also is the only hotel to ever be built entirely with public tax money. A man by the name of V.M. Sulphur held a local fundraising campaign to get the hotel built. The only downfall was it was built and opened during the Prohibition Era. This however didn’t slow the hotel down from gaining popularity among the locals and those near by. Ignoring all the prohibition laws the hotel ran one of the most profitable bootlegging operations and speakeasy’s known. When the prohibition had ended and the times moved into the 1940s and 50s when Western films were taking off and began being filmed in nearby towns such as Oak Creek and Sedona, the hotel hosted many of the famous stars involved in the movie making. Still late in 1970 three men robbed a Flagstaff bank close to the hotel and took off on foot to escape. One of the men was shot by police but the robbers still got away. To celebrate their new found money they stopped into the lounge at The Hotel Monte Vista to grab a drink. Not knowing how bad the shotgun wound was on one of the trio the man passed away from his wounds right there in his chair enjoying his drink. That was only the beginning of the ghosts that would come to stay at this charming historical place. To this day some are still too scared to stay at the hotel and thus make other arrangements when visiting Flagstaff.. However for those that are brave enough and do stay at The Hotel Monte Vista, they are in for a treat. Built beautifully and well maintained, it is a place of elegance and class. Even if you may not be staying the night at this Flagstaff relic, stop in and enjoy a cocktail at the Hotel’s lounge. See if you hear the calls from the lonely ghosts yourself! Whether you are looking for energy vortex’s and beautiful scenery in Sedona, or anticipating a history lesson and excitement from a haunted historical hotel in Flagstaff, one thing is for certain the state of Arizona has so many awesome towns to explore! 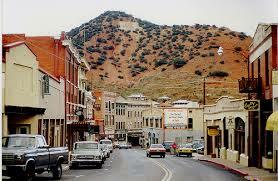 92 miles southeast of Tucson, sits Bisbee, Arizona. It’s historic architecture makes this old mining town visited by many. I was fortunate enough to explore Bisbee for a few days. I won a drawing for a two night stay at the Copper Queen Hotel. So a big thanks to Tempe Carpet Cleaners, for hosting a charity to raise money for the homeless, because I donated and won! And so I now post about quaint little Bisbee. On my last post, I brought to attention the Tempe Festival of the Arts, a bi-annual event held in downtown Tempe, Arizona. I, along with a few friends, headed out to it on Sunday, the last day. I do have to say the weather was overcast and predicted rain, which it did! But it was incredible. A slight chill, but it’s AZ in the spring, so nothing crazy. There was a brief period that the rain let up, and then on it went. I loved it, although I felt bad for many of the artist. There pieces were outside of their tents, and it is a lot of work to put together to have it rain. There was a few less people than last year, from what I remembered, so that was another bummer for the artisans.